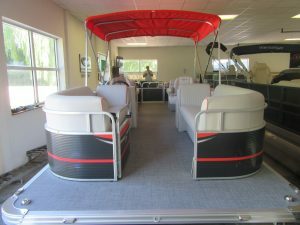 22′ Qwest Pontoon Powered by a 2018 Evinrude 90 Etec with Carbon/ Firecracker & Gray Color Options. Carbon Walls, Gray Upholstery and Gray Vinyl Flooring. LED Docking Lights. Playpen Cover. Helix 5 in the dash. Infinity stereo with 4 Speakers. Ram Phone Mount on the dash and much more all for $24,900.00! 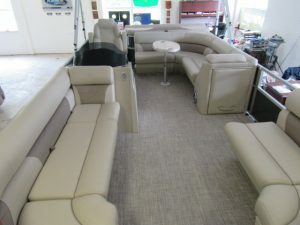 2018 Angler Qwest 820 With a 60 h.o. 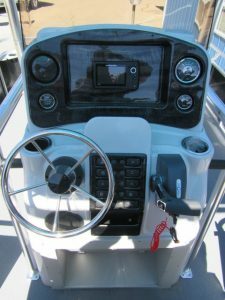 Evinrude etec. Helix 5 at the dash. 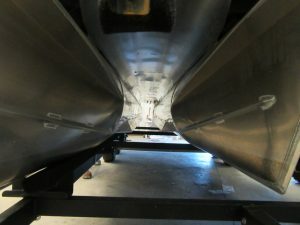 High pressure wash down system built in. Individual seat covers. $25,900 with your choice of a slip or trailer! 2018 Montego Bay 8524 Pontoon with a 2018 60 horse Evinrude Etec. Woven Saratoga Flooring. Upgraded Stereo. Deluxe captains chair. Helix 5 in the dash. Deluxe Playpen Cover all for $26,900 with your choice of a trailer or slip for the 2019 season!